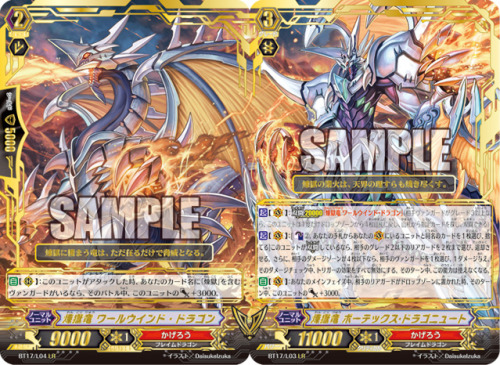 [ACT](VC):[Counter Blast (2) & Choose one card with the same name as a unit in your (VC) from your hand, and discard it] If this unit is in Legion, choose up to two of your opponent’s grade 2 or less rear-guards, retire them. Then, if the number of cards in your opponent’s damage zone is four or less, choose one of your opponent’s vanguard, deal it one damage, and during that damage check, all trigger effects are nullified. This ability cannot be used for the rest of that turn. [AUTO](VC):During your main phase, when your opponent’s rear-guard is put into the drop zone, this unit gets [Power]+3000 until end of turn. [AUTO](RC):When this unit attacks, if you have a vanguard with “Perdition” in its card name, this unit gets [Power]+3000 until end of that battle.